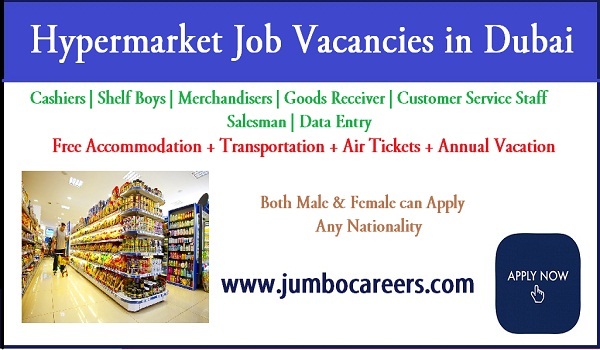 A leading hypermarket in Dubai looking for experienced Male and female staff for various positions. Benefits include free accommodation, annual leave,air tickets and transportation. Its recruitment through a leading job consultancy in Dubai and not a direct job. * If you don’t have experience in gulf countries please don’t apply. As we know we all are applying for different jobs openings got from different sources. Dear sir/mam my total work exprience are more then 12 years hotel and supermarket( business developer in vrinda Supermarket Zambia)industries.i have also indian driving licence.